Any suggestions for a great mobile phone holder? I've had a cupholder version in the past, but it recently broke. I don't like the idea of a suction cup one since it messes with the look of the dash. Any ideas? Re: Best mobile phone holder? I attached my phone holder to the little side window (suction cup). Works well for me. Not perfect though, since the little window opens with the door. How do I attach pics to my post?? It is more solid than other vent mounts I tried. That additional support makes a difference. When I first got he car a couple years ago I found this ProClip. It is amazing and I wish they made them as well for every car as they did this one. I think staying connected with your cell phone is key these days. Indeed, even while you're driving it's a smart thought to have your cell phone for GPS, emergency calls etc. Regardless of this, it does not merit having your cell phone in hand when driving, it puts you and every other person in the car at high risk. 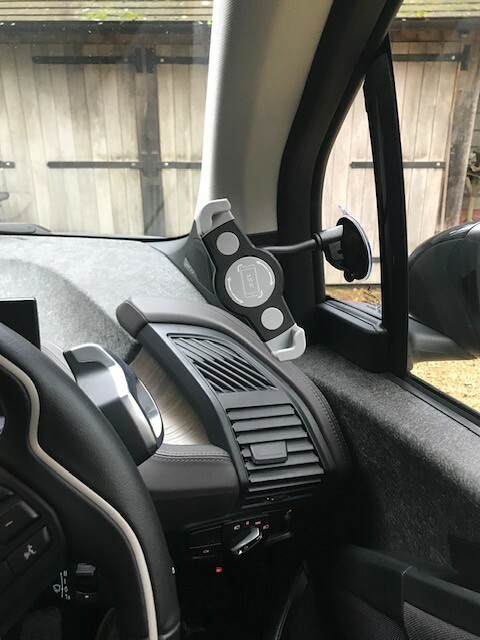 Gratefully there is an solution to increase your safety on the road while yet having the capacity to utilize your cell phone getting a cell phone car mount. They enable you to position your device on the dashboard for simple access where your eyes aren't a long way from the street. At that point, you can securely explore through your GPS or contact numbers. Here are the names of some famous cell phone holders. 5- EXOGEAR ExoMount Touch CD Phone Mount. You may also follow https://www.allreli.com/product/allreli ... ts-holder/ to read the reviews these products. Unsavedone wrote: When I first got he car a couple years ago I found this ProClip. It is amazing and I wish they made them as well for every car as they did this one. Would you please post pics of your setup? Thanks. Sits on the "middle driver's side" vent, with the "feet" in the lowest position, it doesn't block any controls, with or without the phone (iPhone X). I usually have that vent closed, the "middle passenger's side" vent being sufficient for the center of the car. I am using the Proclip as well. It was a little expensive the way I did it, but awesome results. You have to buy the base clip that attaches below the vent and then the phone holder that matches your phone and screw it to the base clip. Best mount I came across, but it blocked one of my vents. Since I live in Florida and can't block an ac vent or I will die, I bought two bases and screwed the holder piece on half of each base so it holds my phone between the AC vents and it has enough space you can still plug into the lighter plug making it perfect. A phone holder is essential, as I worship Google Maps (sort it out BMW, your live updates are way out of date !!). Plus Waze for "event alerts" (aka spot the mobile speed camera). Got it for £6 from amazon (about 8 bucks in funny money). BE Warned: I have the heaver 7 plus, so it will only last about a year as the plastic suction cup weakens. I am fine with that.